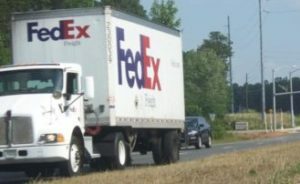 Do You Get Competitive Rates with Fedex Freight too? At the mid-way point of the year, we like to sit down with our customers and complete a summer supply chain review. Together we look at rates since January 1, other costs like claims, and time spent managing freight. For customers who have hired us as their LTL and truckload broker, we hit a few buttons and our BlueShip software kicks out a report full of data, detail, and graphs. For others, we sit down and review the data one invoice at a time. Then we ask questions and offer recommendations. During this process we often find a lot of ways to cut costs and create positive momentum for the bottom-line heading into the second half of the year. A summer supply chain review reveals opportunities like these. Opportunity 1. So, have you saved money with Fedex Freight? As a freight broker, we believe a company benefits from competitive options. We make them available and easy to get. That’s why we ask questions like, does your current provider offer competitive rates like we do with companies like Fedex Freight? We have more than 80 carriers we work with, so Fedex isn’t the only option. But a lot of times you can’t beat their rates. Our wide network of carrier partners gives you options and guarantees you’ll get the services you need, going to the location you need. A good supply chain review exposes two big areas of spend: true carrier spend and time. True carrier spend. A lot of money is lost working with and sourcing multiple carriers. We have several case studies where we found companies erased potential savings by going with multiple carriers. Rates made it look like a good deal, but when all costs were added up the savings were really flat. Time. Calling, emailing, visiting websites, getting quotes, and coordinating details takes a lot of time. A supply chain review audits this and creates a clear picture of the cost of time. We’ve found a lot of unnecessary – and big – costs get hidden by the indirect and hard to capture spend we call time. But make no mistake, time is a huge spend for a lot of companies. What can you do to get control of this? Companies pay thousands for auditors and consultants to find efficiencies. As a freight broker and partner to our customers, we do this as we cut their costs. We recommend you reach out to a third party logistics freight broker who can help. LTL or truckload may not always be your best option. Experience and resources make it possible for a freight broker to identify case-by-case savings benefits. Partial truckload may offer big savings over a presumed LTL shipment, or a low-cost way to get a truckload shipment delivered fast. That’s why we recommend a summer supply chain review. You set yourself up for a big finish in Q3 and Q4 and get control over your company’s shipping. What’s the best way to get started? Find out if your current provider offers competitive rates with Fedex Freight. If they say yes, ask about their other services. If they say no, or if you don’t currently have a freight broker, give us at LTL Freight Center a call. We’re based in Houston, but work with companies all around the United States. Click here to contact us for how we can help.